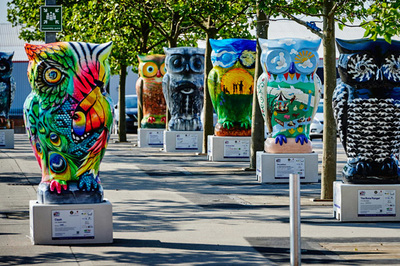 Presented by creative producers Wild in Art working in partnership with Birmingham Children’s Hospital, The Big Hoot has brought businesses, artists, schools and the local community together to create a public art trail of stunning owl sculptures on display across Birmingham from 20 July until 27 September. 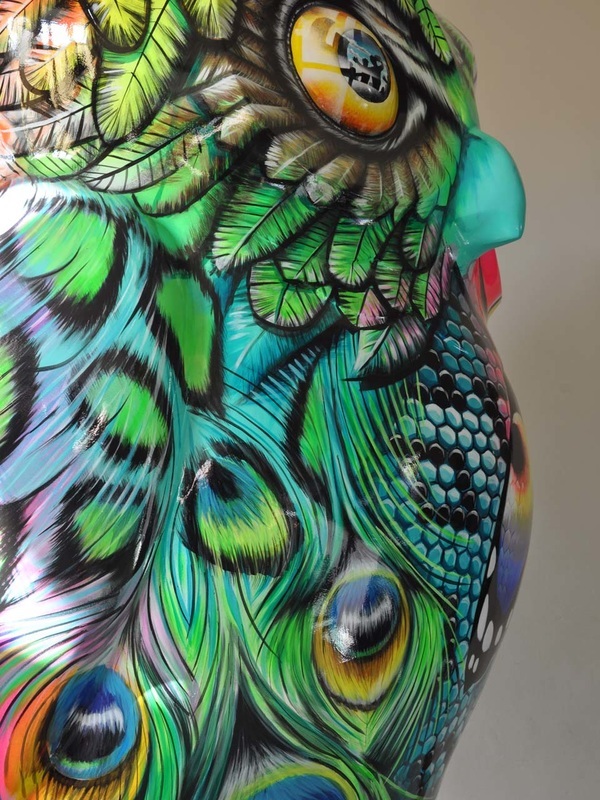 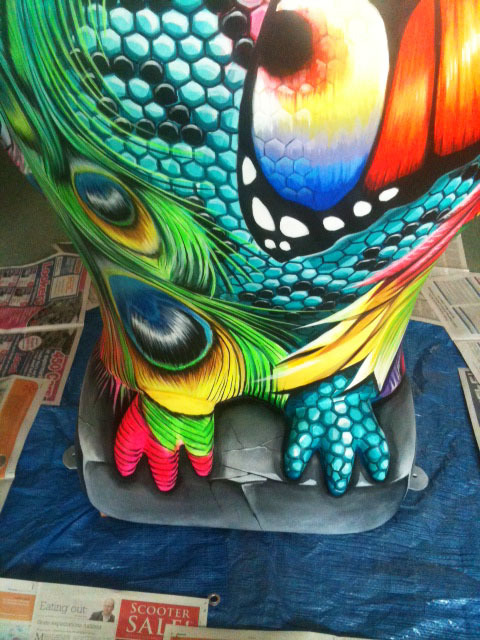 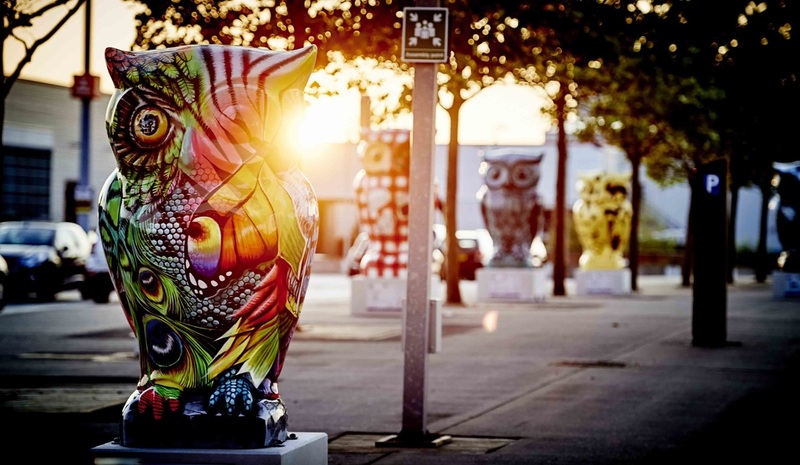 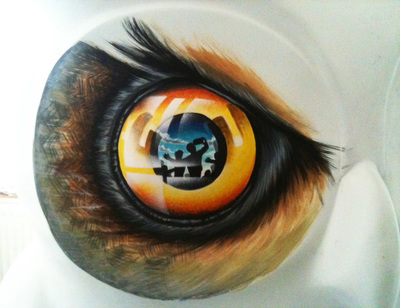 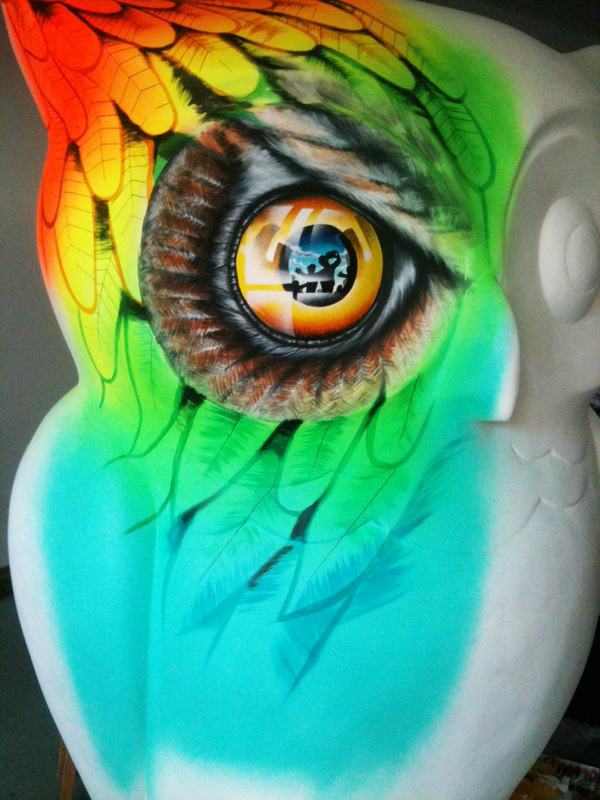 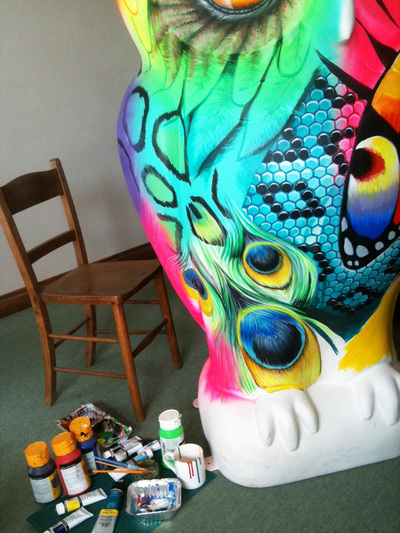 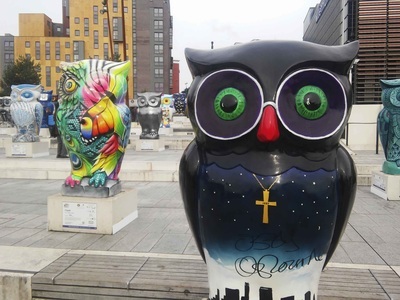 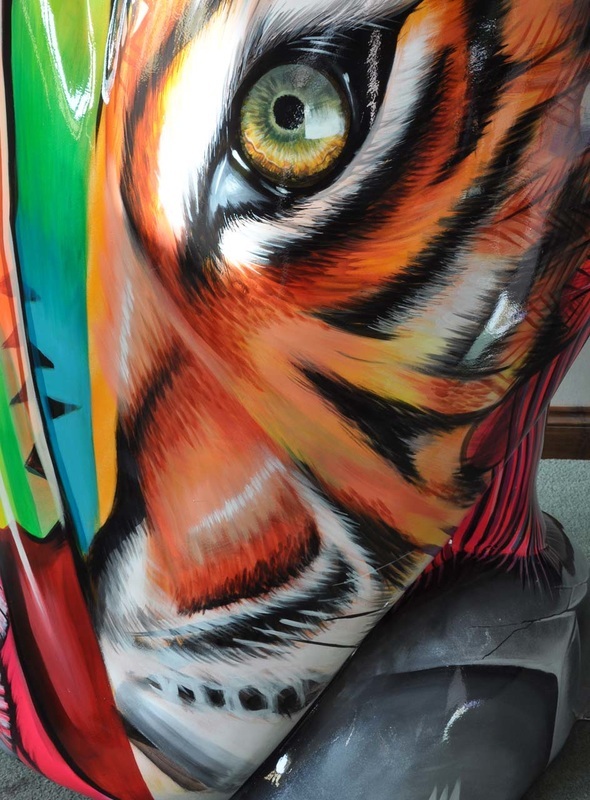 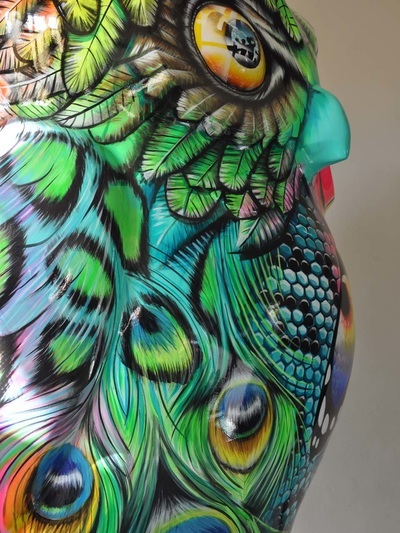 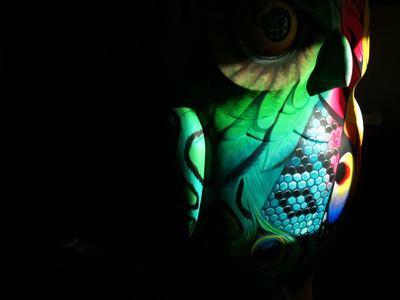 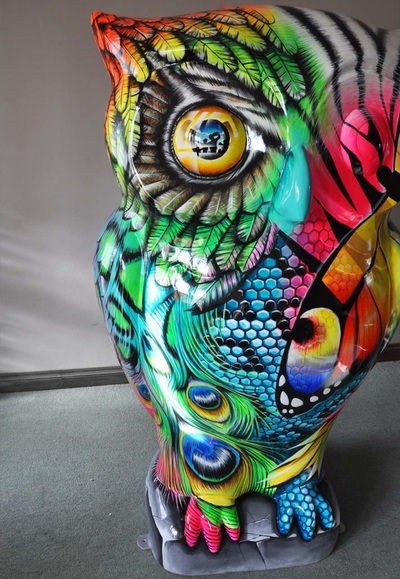 Clash is one of 89 giant owls sponsored by companies and organisations and at the end of the trail, they will be auctioned to raise money for Birmingham Children’s Hospital. 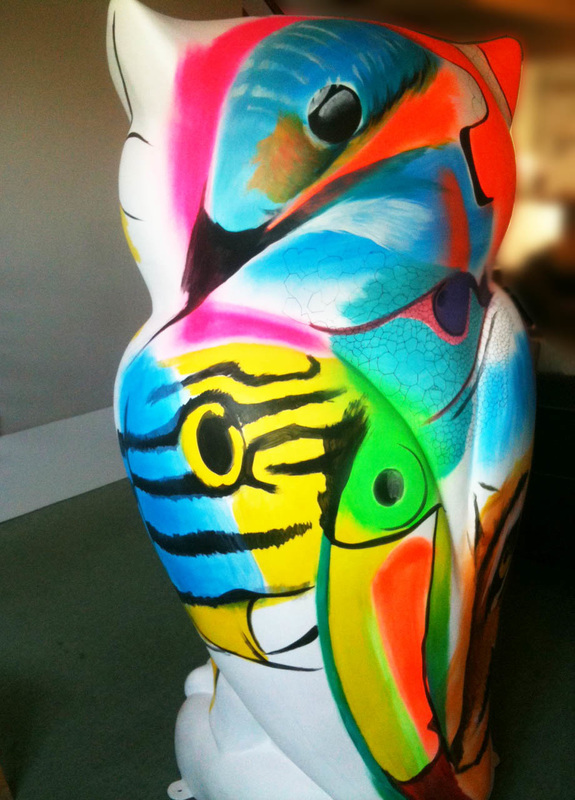 A massive thank you to KPMG for sponsoring Clash and to The Big Hoot and Wild in Art for such an inspiring event. 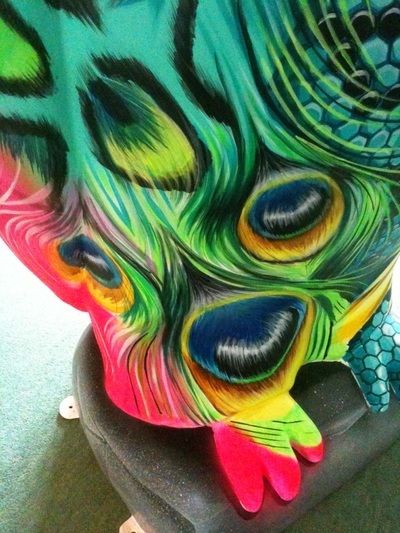 Clash is a mix of patterns, textures and colours found on lots of dazzling looking birds and animals from around the world. 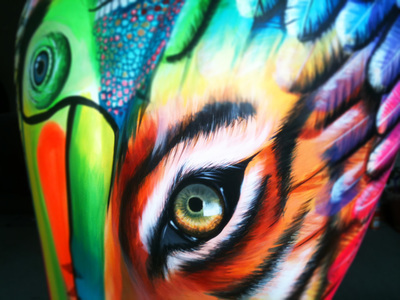 He has been designed to stand out from the crowd, look out for the tiger, chameleon, kingfisher, toucan, cheetah, peacock, snake, clown fish, zebra, butterfly and sweet lips fish!